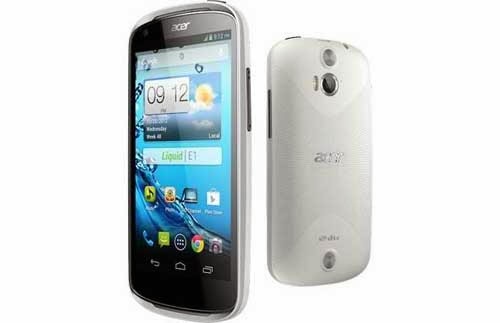 Released in January (2013), Acer Liquid E1 has gained good reviews with its dual-core processor and mid-range price. However, just like any other smartphones, it also has problems. This post will present Acer Liquid E1 6 most common problems that its owners reported and complained about. Fixes and workarounds would also be provided to help users who want to troubleshoot the issues. Soft-reset the phone so it would be refreshed. Close recently used apps including some of running third-party apps. Minimize the use widgets because these little apps do sometimes take a lot of RAM. Uninstall unnecessary applications to free up some space and stop services associated with them. Clear its memory (RAM) to get rid of corrupt data and force the phone cache newer ones. Factory reset the phone to bring it back to its original settings. Reboot the phone to eliminate the possibility of a temporary device problem. Disconnect from the network and "Forget" it, then reconnect. Go to the Advanced WiFi Settings and change sleep policy to "Never." Third Problem: Acer Liquid E1 runs low on memory / storage. The phone comes with 1GB of RAM and around 850 megabytes can be used by the owner to cater the needs of apps and processes. It also has 4GB of storage and around 3.5GB is left for the owner to use. Launch the phone's task manager and clear its memory. Minimize the use of widgets on your Home screen. Close running third-party applications that you don't currently use. If you haven't bought a microSD card yet, get one and use it. Transfer apps to your microSD card. Uninstall apps and games that take up so much storage space. Clear cache and data of apps you don't use and uninstall them. Make sure you have an active internet connection by browsing to a website. Those who are using mobile data, make sure you have network coverage. If you can login via the webmail, do it to confirm it's not a server problem. Double-check the settings, make sure all of them are correct. Reboot or soft-reset the device to refresh its memory and restart all necessary services. Go to the Application Manager and find Google Play Services then "Force Stop" it. Do the same thing to Google Services Framework. If all else fail, Factory Reset the phone to bring it back to its default settings. Sixth Problem: Acer Liquid E1 cannot recognize the microSD card. Problems with microSD cards seem common to smartphones. Majority of the units, whatever their brands are, have in one way or another experience this problem. First, the phone would seem to be having difficulty detecting the card, then it automatically unmounts it. Lastly, it could be able to detect the card or the data stored in it. Take the microSD card out and let your computer / laptop read it. If the computer can read from it, backup all your data and reformat it, then see if the phone can recognize it this time. It could be that the card is corrupt, if you can, then replace it with a new one.